It was an amazing weekend at the Dartmoor Folk Festival this past weekend. There seemed to be more children and families than ever and such a wonderfully vibrant atmosphere. So many new faces, and so many familiar ones too which is always lovely. 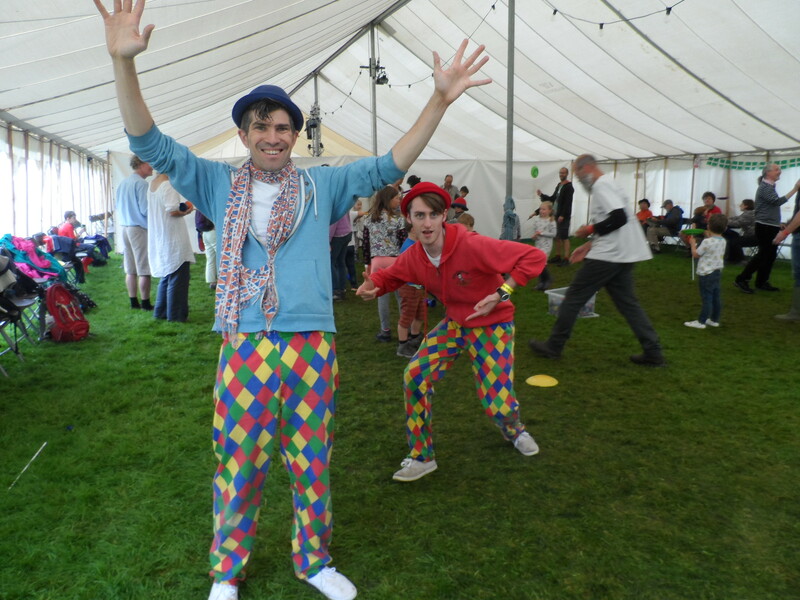 I was delighted to kick off the children’s events with Ryan each morning with ‘Rise and Shine’ and I was joined over the weekend by some top quality entertainment in the form of Dan the Hat and Magic Martin. Furrifingers Puppet Theatre also treated us to a special Dartmoor puppet performance and headed up a sock puppet making workshop. The Dartmoor Broom Dance workshop seems to grow year on year with more children wanting to have a go as this age old tradition. It’s truly wonderful to see. As a treat for the 40th anniversary year, we had artist Jo Mortimer with a specially commissioned ‘people participation’ painting. Jo had created the outline of the familiar view of South Zeal and festival goers were invited to paint in a brick. The finished artwork will be on display at the Festival in years to come but one lucky person will win a print of the picture. We ended the children’s festival with the mini music hall with special guests including Keith Donnelly, Jackie Oates and Dan the Hat.